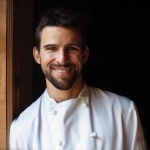 Craving a delicious plate of Italian carbs but don’t want your body to pay the price? 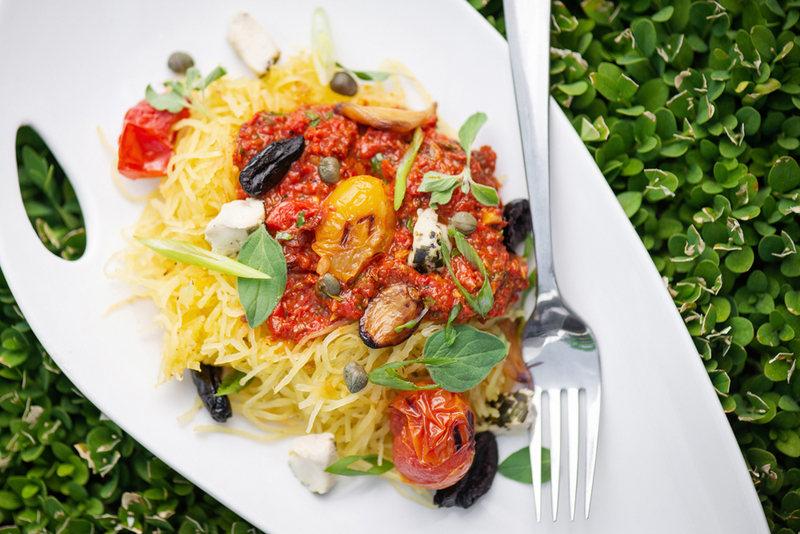 Try out this pasta puttanesca recipe made with spaghetti squash noodles rather than regular noodles. It’s a great low-carb, healthy dinner option that your body will thank you for later. Although making spaghetti squash noodles requires oven time, they are an easy-to-make healthy noodle replacement and can be used in place of regular noodles in countless healthy recipes. One large spaghetti squash can serve 3–4 people, whereas small ones may serve 1–2. Cut spaghetti squash in half and remove seeds. Oil, salt and pepper sides and bake for 30 minutes until a sharp knife can be inserted with only a little resistance. Roast the ‘garnish’ cherry tomatoes and garlic cloves on a separate tray for 30 minutes until golden and slightly charred. Remove squash from oven and set aside to cool. Meanwhile, combine tomato sauce ingredients and roast for 45 minutes. Place roasted sauce ingredients in a food processor and pulse 10 times in order to remain chunky. 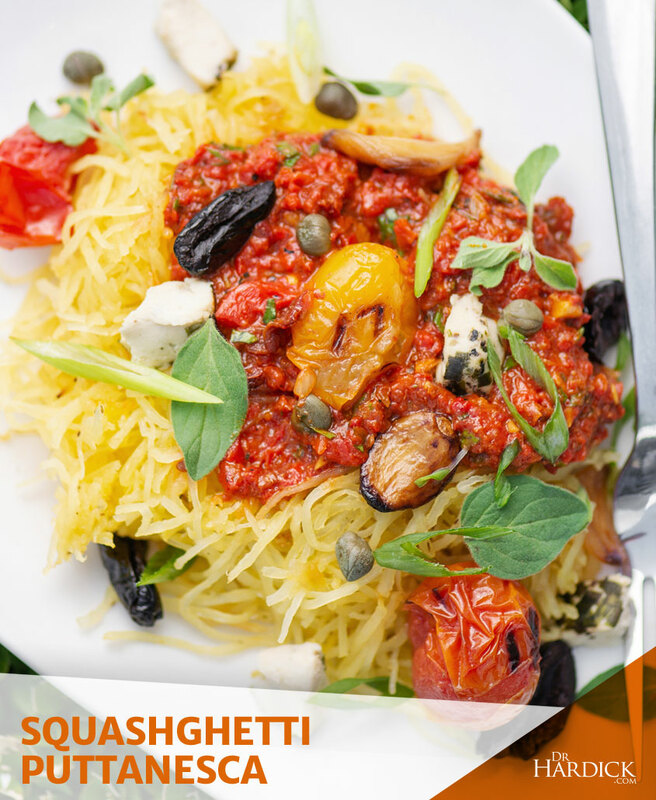 Use a large spoon to scoop the stringy pulp from the squash and place in a medium bowl. Garnish and serve. Fitness Boutiques in London, Ontario to Try in 2019 Is Dark Chocolate Actually Good For You?